Love, Life & Locks (London): Straight Hair?? I am so fascinated by your straight ends esp because your not using oils or products. What shampoo do you use? Well I guess you are in the teenage stage so your closer to getting locked. Let's see what happens over the next 3 months. The stubbies at the temples and I are enemies! I've got a patch of fluff on the left side that refuses to hold a twist so it's quite a challenge to style my hair since I don't like leaving it down now that it's a lot longer...will probably get a proper side bang when I go home for Christmas and see if that helps. 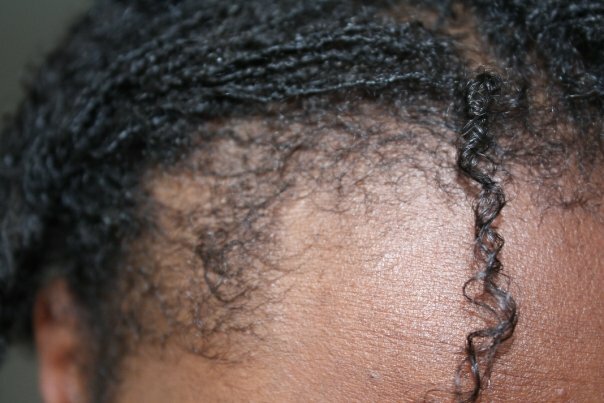 As for them feeling harder and drier, I was devastated at first because I thought everyone else had soft springy locs (judging by a first glance) but I'm guessing this is quite normal. 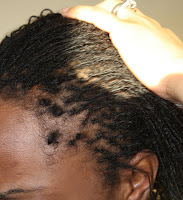 @ TWI, I am mainly using the SL starter shampoo (see my post on dry scalp). @D-C: thank goodness! I thought I was some kind of mutant! Thanks thanks thanks for this! and LMAO re: granny plaits. I sooooooooo know what you mean!!! For my hair to curl after 5 years of sisterlocking, my hair still has a mind of its own. I too am relegated to the house for the whole weekend if I want to risk "curling" my hair with my soft spike rollers. Since I'm SOOOO lazy and won't want to spend all of my free time indoors, is bare straight hair I duz wear! I do think that when your locks feel harder that is just apart of the locking process.